for the first configuration I would have to build two setups like these since it's a bipolar motor. and the second design is here, for this setup up I would add 100 ohms resistors for each of the inputs coming from the MCU to the gate pins. This design doesn't require the additional 2 N mosfets from the first design. This design doesn't require the additional 2 N mosfets from the first design. but it does require that the two control lines swing between 0 and 9 volts. Let's say that your MCU outputs swing between 0 and 5 volts. Then the two p-type MOSFETs Q1 and Q2 will have gate voltages from gate to source, of -4 and -9 volts. In neither case can you guarantee that those FETs will ever turn off. Then whichever n-type is turned on will cause a short from 9 volts to ground. And that will not make you happy. I am, of course, assuming that your MCU pins do not go from 0 to 9 volts. Correct me if I'm wrong. Not the answer you're looking for? 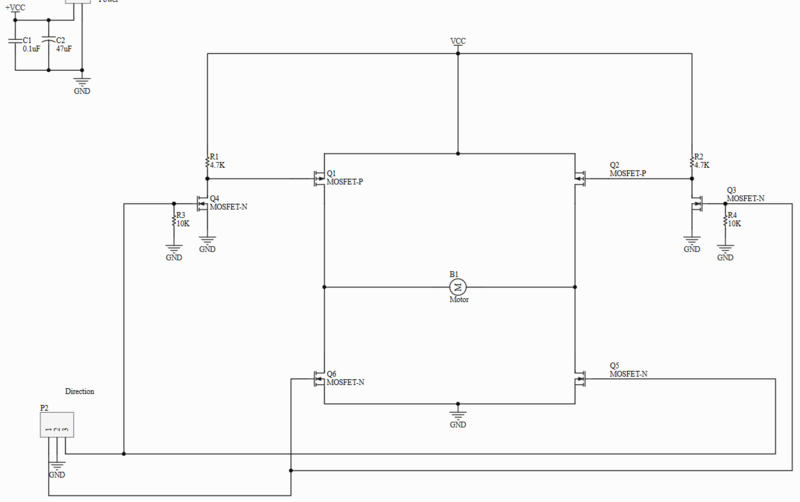 Browse other questions tagged motor stepper-motor h-bridge bipolar or ask your own question. Will adding 1/2 watt resistors reduce the current load of a stepper motor? How do I determine the power rating of a stepper motor? 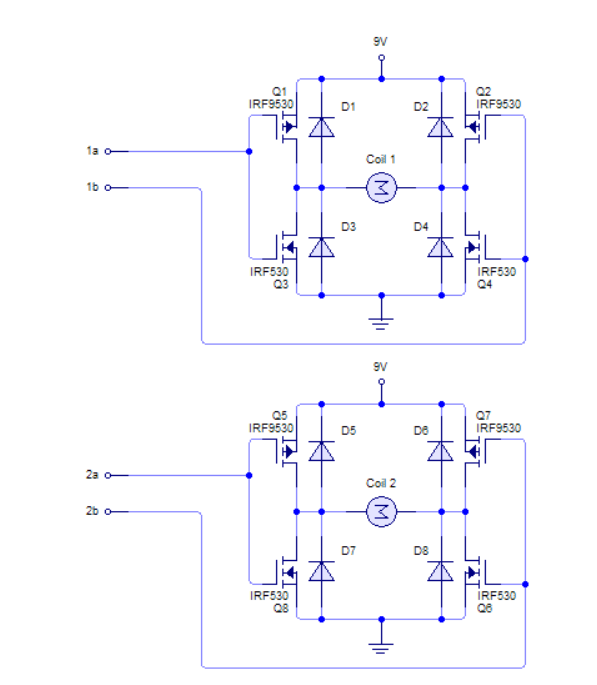 how to choose the transistor for following case? Can I drive a low voltage stepper motor with an A4988 driver?